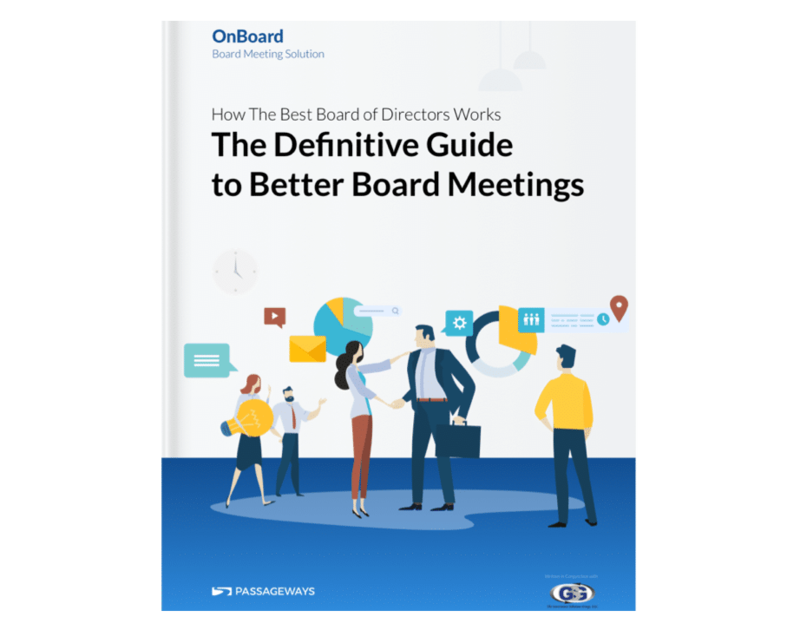 Whether you’re about to sit on your first board or are looking for a way to better your organization’s governance structure, you’ll find wisdom and guidance on these pages. Co-Authored with our partners at the Governance Solutions Group, this eBook covers four key areas; meeting preparation, day of the meeting, post meeting and meeting resources. To start, we’ll have you take an interactive survey of your current board practices, so you can measure where your board stands. The eBook then follows that survey up with guidance and insights about each area we measure in the survey. How effective is your board of directors and what can you do to improve your governance? Let’s find out.